Chiller City is happy to have selected Coinbase as our partner for processing Bitcoin (BTC) payments. Our merchandise is priced in US dollars so when you select the option to be billed in Bitcoins you will be sent an invoice which takes you to Coinbase for payment. Your Bitcoins will be processed at the current exchange rate of BTC-e, the highest volume exchange of bitcoins in the world. Chiller City will absorb all fees associated with the transfer. 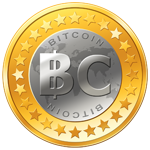 Due to the volatile nature of bitcoins the time you pay may affect the number of bitcoins required to complete the purchase.